At the top of the list of not-so-smart things I’ve done over the past few days: starting to watch a scary movie at 10:30 p.m. Yes, that’s when I cranked up Insidious the other night thinking I’d only watch “10 minutes of it” before going straight to bed. Of course I had to finish it, which was like watching Britney’s infamous breakdown (I couldn’t look away! ), except with sudden loud noises, scary silhouettes seen through darkened windows, and creaky wooden floors. NOTE TO SELF: films featuring demon possession do not make for relaxing bedtime fare. Luckily, I also managed to do something pretty smart this week, which almost balances things out. I remembered where I put my missing pan of MAC Sheertone Shimmer Blush in Sunbasque ($19.50), one of my summer faves for sunkissed cheeks, and arguably one of MAC’s user-friendliest (I don’t think that’s a real word…) blushes. Sheertone and I met a couple of years ago at a MAC counter when I’d asked a MAC artist for a blush recommendation. I wanted something easy that would look great with a tan, and she pulled out Sunbasque, a shimmery, peachy pink bronze. What made it special, she said, was the slight red it contains, which complements the reddish tones in tanned skin. It’s like a multifunction printer, but instead of printing, scanning and faxing, it blushes, bronzes and highlights. The bronze tones lend warmth to my cheeks, while the peachy pink adds a flush of color. The subtle shimmer just draws a little more attention to the face, but not so much that I look like I’m rollin’ straight to da club. Two layers (it’s sooo easy to blend), and I look like I spent the entire day practicing cannonballs at the pool…and napping and reading Us Weekly. I love the way it looks with traditional summer eye makeup colors, like bronze, gold, coral and teal, but I think it also pairs well with peachy pink lip colors (like MAC Evolution Revolution perhaps). I know it’s not The Godfather or anything, but I really frickin’ love Clueless. It was on TV the other day, and I can’t believe how much that movie still makes me laugh. P.S. Please tell me I’m not the only person who still likes loves Clueless. There are 60 comments on this post. Leave yours. Previous Post: What Makeup Do You Have in Your Purse Right Now? 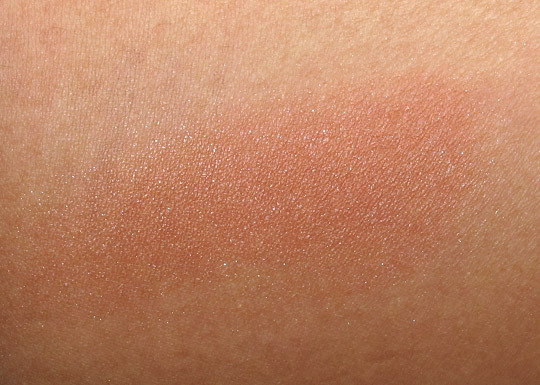 I wear NARS casino bronzer, but am tempted to try MAC’s new careblend bronzers. With casino as a reference, should I pick up gold go lightly or lush light bronze? Thanks so much for your help, Karen. I’m still so pumped for Evolution Revolution! Great advice, Bianca. I was just about to recommend the same thing. Gold Go Lightly for sure, Samantha! And I can’t spell possession! I could watch Clueless a thousand times and still never get sick of it! 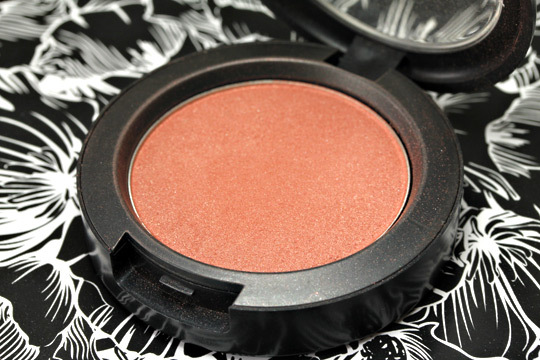 This blush is one of the ones on my wishlist, but while I was at the store to get it, I wound up picking up Raizin. you are SO right — sunbasque is the perfect summer blush! I love clueless! The tv show spinoff was not near as funny. How is sunbasque when compared to my paradise? Right now that is my holy Grail blush. It is perfect for a nice flush of color on my tan skin. I have worn it everyday since it came out, and at least 2 people tell me I am glowing or that my skin looks so pretty. How is sunbasque when compared to my paradise? Right now that is my holy Grail blush. It is perfect for a nice flush of color on my tan skin. I have worn it everyday since it came out, and at least 2 people tell me everyday that I am glowing or that my skin looks so pretty. I <3 clueless so much. It was my favorite movie when it came out and it never gets old. I enjoy it as much now as I did then. I caught the ending of Clueless the other day and it brought back so many memories! I loved the 90s!! Sunbasque was my first MAC blush and will always be my go-to. I feel like it flatters any type of look and is so easy to work with. It will always remain one of my faves! This looks like a beautiful shade, but maybe a bit too dark for me? I’m an NC20 and I don’t tan, ever! You could totally do this! I’ve heard a few raves from NC20 girls who love it. You look so freakin’ adorable here! Oooooh pretty blush! I love blush and there are STILL so many from MAC I haven’t tried yet. Would you believe I don’t own a single MAC blush!? 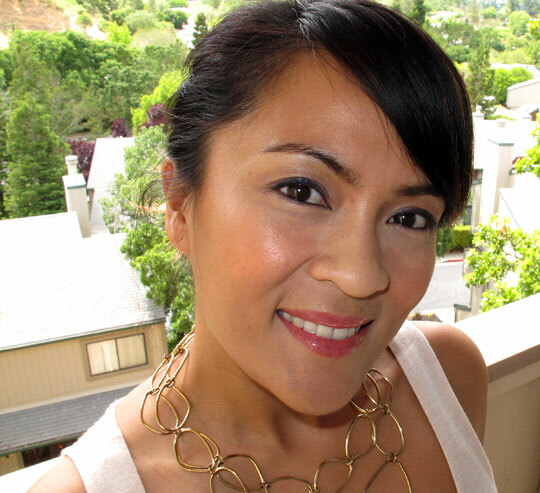 productdoctor recently posted … Im Gaga for Gloss dArmani! Pink 501 Swatches! Me neither! But right now, I’m looking forward to getting Surf Baby’s My Paradise, and Blushbaby(Thanks to the unsung heroes series. Haha!). This one looks pretty too, not tempted, YET!! I got it years ago (2007?) at Macy’s. I can’t remember the designer’s name, but since then I’ve seen a few different versions of it at several stores. If I run across it again I’ll give it a shout! Speaking of Clueless, I love the show! I used to run home after school in the 10th grade to watch it. I even bought one of those pink feather pens that look like the one Cher used. Gurrrrrrrrrrl, no joke, I told hubby he was coming with me to the bathroom while I brushed my teeth after we watched Insidious!! AHHH it freaked me out. The end got a little cheesy but man, those creepy faces, and people popping out of places made my skin crawl! *whispers* I never got around to watching Clueless…definitely feel like that’s something I should do! Oh you look so glowy here…in a good way! What is on your lips, may I ask?…Is it the highly coveted EvRev?!?! I had sunbasque and I swapped it away because it looks lovely on you but it made me look like I had been left out in the sun for far too long. LOL! Aww, Paris! Did you try it beneath bronzer? Layering it with a bronzer helps with some skin tones. Sunbasque looks really pretty on you! However, I can’t get any more MAC stuff (you know, until the Blogger collection comes out) because I received a box today (some Beach stuff and some additional eyeshadows…and lipstick…eep) on top of the little bit I bought yesterday at the store! OOh! Do tell about your eyeshadows and lippies! Tabs is so excited, LOL. 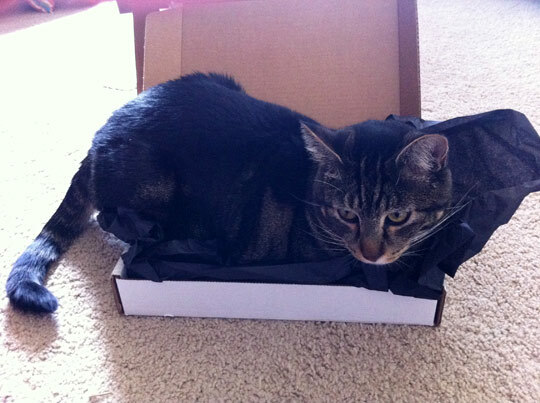 Does Tabs want the box? Tigger was poking at it yesterday but I’m sure he’d be happy to share with his tabby cousin. Cockney is so beautiful! I’m really glad you like it. Oh, I’m also happy to hear that you picked up Vex and Naked Lunch too. They’re fantastic staples. I haven’t seen Law & Order: UK. Is it just as good as SVU? I really like everything that arrived! Vex might actually be my favorite of the eyeshadows, which I wasn’t expecting. It’s really flattering, and not too cool on me like I feared it might be. L&O: UK is the British version of the original Law and Order, so if you like the original, you might like it, too! The accents are fun (the head of the Crown Prosecution Service has a fantastic Scottish accent), and the cast is universally quite strong. That has not always been true of the other Law and Order shows, much as I may love them. The two cops have great chemistry, the crown prosecutor (British version of Jack McCoy back before he was DA) is fantastic, and the female assistant does a great job, too, unlike some of her American counterparts who have been very hit and miss. It’s pretty different from SVU since there’s the equivalent focus on both the police and the CPS, but I think it’s just as good of a show. There should totally be a British version of SVU (ideally with someone as attractive as Christopher Meloni, lol). Does Tigger do the whole rubbing of the cheeks on the corners? That’s Tabs favorite part of box exploration, I think. I read somewhere it’s a sign of dominance, and that they’re marking the box as theirs. Greedy little kitties! LOL re: Giz howling at the birds. I wonder what she’d have to say about the baby turkeys outside my window. Ooh! One thing to try with Vex: pop it into the inner corners with a pencil brush. I swear it wakes my eyes right up! Yes, that’s what he’s doing! I guess Tiggy has to get his alpha male on somehow. Oh, I think Giz would love the turkeys. The neighbors put out a bird feeder, and she utterly adores it. She sits behind the couch to watch them eat. I think it’s because she thinks that they can’t see her if she hides behind it :). Yay! It’s a fun show (although I always feel like an idiot whenever I can’t make out everything a minor character is saying because he has a heavy cockney accent). I know how you feel about the Tivo! However, sometimes I feel like mine is judging me based on the suggestions it saves for me, lol. It occasionally records three hour long blocks of the Weather Channel or that TV show where that dude goes around and eats really large items of food. Is this what you really think of me, Tivo?! Sunbasque really is pretty. I can’t believe I don’t already own it…I love “Clueless”! One of my all-time favorite movies. I still remember cracking up in the movie theater the first time I watched it with my best friend. I don’t even know how many times I’ve watched it since. ME TOO! I tried to count the other day and I seriously couldn’t. I may have seen it over a 100 times (eek!). You need to watch it again. It contrasts nicely with Game of Thrones, LOL! I didn’t know any girls who were exactly like the lead character Cher, but I do remember rockin’ her ’90s fashion big time. Knee high socks, a-line minis, platform shoes, little backpacks… gawd I need to burn those pics. I looked like the missing Spice Girl. HAHA! That is too funny – now I’ll definitely have to watch again. I could definitely use something more upbeat after so much Game of Thrones! Hey, that beats my 90s “fashion” hands down. I remember tying flannel shirts around my waist, for goodness sake! 🙂 I think you should scan and post those photos instead of burning them. The old pics with your friends that you put up this week were really cute. Coincidentally, one of my bffs said she unearthed a ton of pics of us while sorting for a garage sale last weekend. They’ll be fun to see! lip product, please….its so pretty!!! SO glad you like! It’s MAC Crosswires Lipstick topped with Evolution Revolution Lipglass! what is on ur lips? love that combo! Sorry. I don’t know why the wrong user name came up but I thought I would ask the question again with the correct user name…..
Hmm, maybe Ambering Rose? There’s also Dollymix, which I know is nothing close to pale (it’s hot pink in the pan! 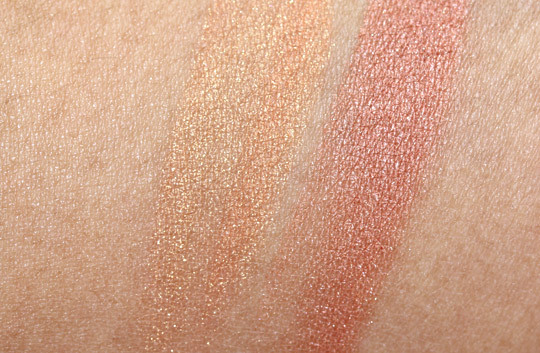 ), but when applied lightly with a fan brush can look *amazing* on pale skin. This blush looks too dark for me. I love the Unsung Heroes series….gives me a great place to start on collecting permanent staples! I always get sucked into LE’s. I always watch scary movies before going to bed too… not a good idea. Sunbasque looks gorgeous, but it's really your swatch against My Paradise that did it for me! Looks pretty unique! You look positively glowy as of late (not just in this post… the last several). Is it the careblend? Am I going to have to break down and purchase my first MAC item in the past 10 years? JAJAJA a reference to clueless is at times necessary sista!!! Everytime I use the valet I remember Cher. What’s you lip color in the second picture girl? If it’s Evolution Revolution I’ll buy it and backups. wow that’s a pretty blush. I never wore blush until a few months ago but I got Benefit’s Bella Bamba as a present and now I’m a convert :). I want to get a couple blushes from MAC, I was thinking Well Dressed and this one so I would have one that would look good on pale winter skin and one summery one. What do you think? Its GORGEOUS! I am getting this asap! 🙂 You look so pretty 🙂 Love how this looks on you! ik recently posted … GIVEAWAY TIME! I love this whole look – would you happen to remember what else you wore? Definitely buying this once I am done with (two) mini bottles of chacha tint. Love the colour but soooo over its hard to blend formulation. Mac sunbasque, oh baby wait for me!